We had a great summer and enjoyed seeing all our friends at the shows. I know a lot of you did not make it to any of the shows. So we are having an end of summer sale for everyone to benefit. Each week will be a different series on sale. We will have some great buys, so check the site and see what’s on sale. 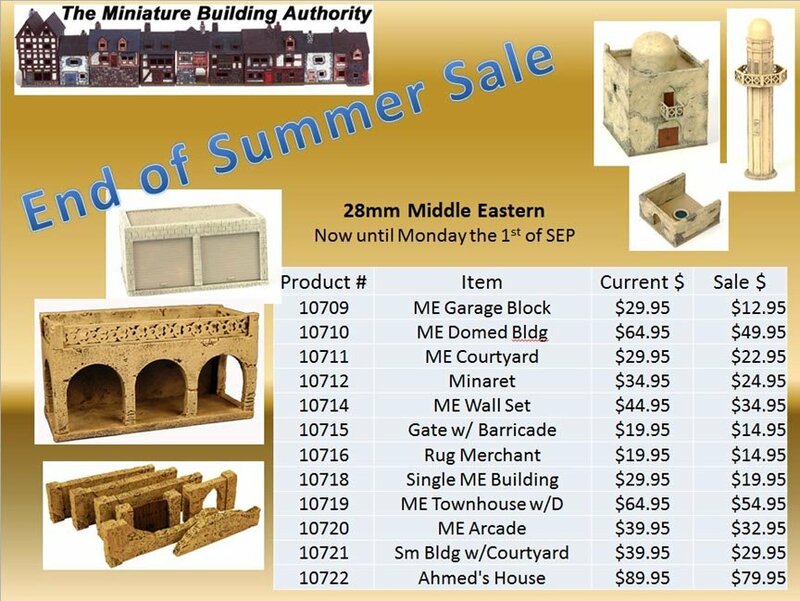 The first series on sale is the 28mm Middle Eastern. This has been an excellent set of buildings for ancient times to modern conflict. This sale will last from now until Monday September 1st. Get them while you can. Some of the items are low and will be out of production soon.